I don't go looking for trouble to shoot; it seems to find me. I certainly don't go looking for Microsoft Windows trouble to shoot. In this case, it's my neighbour across the street ambushed me with this little problem - a randomly rotated display, unbidden. We worked it out between us. Question is, why the heck did his Windows 7 display suddenly kick into rotated view after exiting the screen saver?!?! 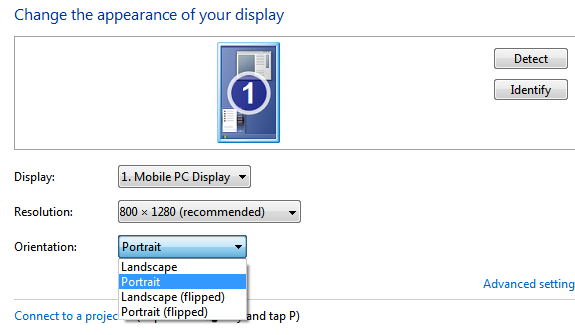 Right click on the desktop, go to Personalisation.